Well you are a resident of Florida, the most disaster prone states of the United States of America. You must be thinking if living in Florida has something to relate to disasters and living a normal life. The question arises pertaining to how strong your house really is. A house strongly looking strong and steady from outside might just end up being the cause for your death. Why? Because, of the fact that it actually suffered from a weak built and couldn’t withstand the hurricanes that are an on and off issue for Florida residents. The state’s vulnerability towards natural disasters can never be ruled out. Not only should be choosing a strong brick and mortar home but you should also consider the roofing system that has been installed from beforehand. First of all you need to upgrade your roof often to ensure that a weak built roof doesn’t come in your way to survival. 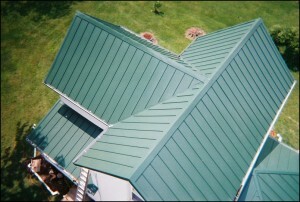 Apart from the home’s outer most façade it is essential that ask for the perfect Florida roofing solution. Secondly you must make sure that the material you choose for is able to endure natural disasters that might attack the entire region at any time of the day. Remember roofs are installed to prevent disasters from striking the uppermost part of your home and also withstand hurricanes from destroying the properties and the lives of family members inside the four walls. Choose roofing materials that are stronger and durable. Thirdly you should also see to it that the roofing system you install allows in enough sunlight and protects you from stuffiness. However, if you feel that excessive sunlight is actually increasing the heat inside then, you can shield the portion of the house with durable and thick materials.